Identifying a high-functioning alcoholic isn’t easy. He or she may have quality relationships, a great career, and a stable financial situation – all while drinking excessively. It may also be harder to convince these people to seek treatment due to strong denial about their problems. The definition of a functioning alcoholic. Signs and symptoms of a functioning alcoholic. How to approach a functioning alcoholic. Treatment options for alcohol abuse. How to find an alcohol recovery program. Who Answers? to learn more about alcohol recovery programs. 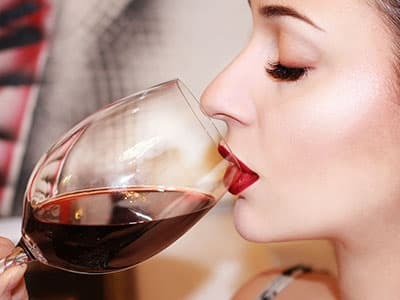 A functioning alcoholic, as opposed to a chronic or severe alcoholic, is able to maintain control over his or her life despite problem drinking. Functional alcoholics are able to keep a job and even advance in their careers. They are rarely late to work or absent, don’t typically experience financial hardships or legal consequences from drinking, and can preserve relationships with family and friends. Functioning alcoholics may not meet the typical criteria for alcohol addiction, so it can be hard to tell whether anything is wrong. Unable to accept that they have a problem because they don’t fit the stereotypical image of an alcoholic (friends and family also often deny there is a problem). Convinced that they aren’t an alcoholic if they drink expensive alcohol. Often use alcohol as a reward for working hard. Believe that if they are successful in life then they can’t be an alcoholic. Believed to have everything under control. Skilled at hiding alcohol consumption. Create a refined appearance for themselves that differs from the stereotypical alcoholic. Excel at compartmentalizing different areas of life (work life vs. drinking). Won’t leave any drink half-consumed. Have cravings to drink alcohol. Unable to drink in moderation. Constantly convincing themselves and others that they aren’t drinking excessively. Experience memory lapses from drinking. Feel remorse for things they did while drinking. Work or school attendance is not affected by drinking. Drinking does not affect employment or educational pursuits. Excellent academic or occupational performance. May be respected in their fields of work. Functional Addiction: Are You Living a Double Life? As CEO of a medium-sized company, Joe enjoys his work and finds it fulfilling. He maintains balance by going to the gym each morning, participating in a humanitarian service organization, and setting aside time to spend with his family and friends. But Joe has a secret. According to research, almost 90% of people who are addicted to drugs or alcohol live with family or a significant other. 9 Living with a functioning alcoholic may cause you to feel depressed or anxious as a result of his or her problem drinking. Constantly lying and covering up for your husband or wife can be wearing on your relationship and may even cause you to neglect your own needs. While you may be angry or upset with your loved one, avoid confrontation at all costs. It may decrease his or her receptiveness to get help and cause your loved one to become defensive. Instead, try approaching your loved one with compassion. Use a nonjudgmental tone that communicates empathy and genuine concern without blaming your loved one for his or her alcoholism. Tackle the problem together and show your support by offering to attend therapy with the person. Try to catch the person when he or she is trying to quit drinking because this suggests that he or she has acknowledged the problem and may be willing to make a change. Stop making excuses for the person. This will help your loved one to see the consequences of his or her drinking. Avoid talking down to him or her. The person probably already feels shame or guilt from drinking. Do not approach a functioning alcoholic while he or she is drunk. Chances are, the person will not be coherent and may not remember the conversation. Avoid raising your voice or acting angry or aggressive when talking to your loved one. Remember to always empower and encourage your loved one. Instilling belief will improve confidence and motivation to get help. It can be very difficult to convince a high-functioning alcoholic that there is a problem. Your loved one may argue that he or she only drinks in certain situations or only drinks certain types of alcohol. The person may point out exceptional occupational or academic successes that prove he or she does not have an addiction. He or she may compare themselves to chronic alcoholics whose lives have spiraled out of control. You may end up questioning whether the person is actually an alcoholic. However, if your loved one exhibits several of the signs and symptoms listed above, he or she probably needs help. 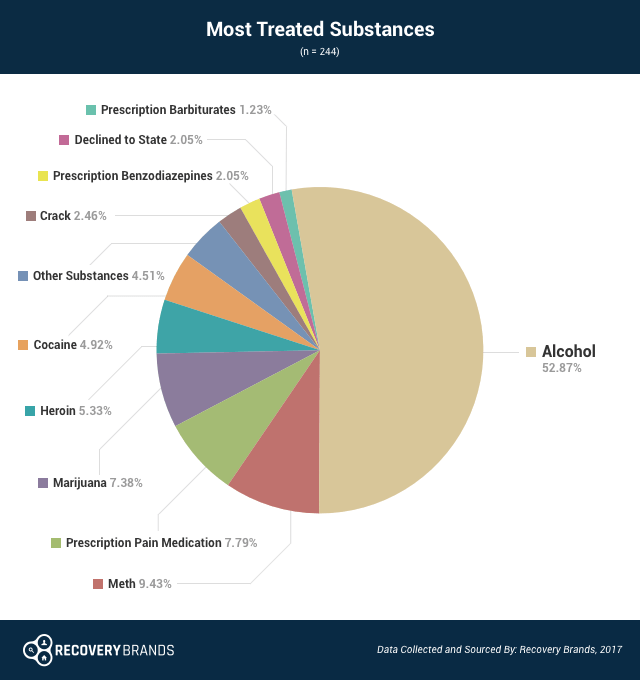 Alcohol was abused more often than any other substance among recovery treatment attendees, as reported by a 2017 survey from Recovery Brands. The survey reports that nearly 70% of people in recovery engaged in treatment for help with a drinking problem, and a surprising 52.87% of those that responded received the most treatment for alcohol abuse. Who Answers? to speak with a trained support representative. A high-functioning alcoholic may require an intervention to accept that he or she has a problem. These can be conducted by a mental health or addictions professional who is experienced in intervention services and education. A history of suicidal behaviors. A known or suspected mental illness. A history of violent or aggressive behaviors. Co-morbid substance abuse and mental illness. Need Help Locating a Treatment Program? Who Answers? anytime to speak with a treatment support advisor about alcohol recovery programs. If you or someone you know is suffering from alcoholism, there are many different recovery options available. There is no one-size-fits-all approach to treating alcoholism, and the effectiveness of recovery services is largely dependent on the individual’s needs, addiction severity, and motivation to get sober. Inpatient treatment: These programs are effective for those with a severe addiction to alcohol. They require that you live at the facility for the duration of treatment, which allows you to escape your everyday drinking environment. Most programs include detox, medical supervision, group and individual therapy, recreational activities, and aftercare planning (see the next section for more information on what happens in rehab). Outpatient treatment: Outpatient programs allow the high-functioning alcoholic to meet his or her home, school, or work responsibilities while receiving addiction treatment. Outpatient is not typically recommended for those suffering from severe and chronic alcoholism as it lacks the structure of residential programs. Dual diagnosis: Alcohol abuse often co-occurs with mental health conditions, such as bipolar disorder, schizophrenia, antisocial personality disorder, depression, and anxiety. 8 Someone who suffers from alcoholism and a mental health disorder is said to have a dual diagnosis, and some treatment centers are more experienced in treating dual diagnoses than others. Individual therapy: You meet one-on-one with a therapist to uncover underlying issues that influence your alcoholism. You also work on developing and building upon coping strategies to use when you are craving alcohol or in a trigger situation. Group counseling: A certified mental health professional leads a group session focused on interpersonal interaction and the sharing of personal experiences. No one form of treatment is “better” than any other. Talk to a mental health professional or addictions counselor about which option is best for your particular situation. Intake evaluation: A staff member assesses the drinker and identifies any co-occurring mental health disorders. The treatment team then creates a comprehensive and individualized treatment plan. Therapy and counseling: The person works individually and in groups on correcting unhealthy behaviors and developing healthy coping skills. Medical maintenance: Depending on the recovery center, the person may be prescribed medications that can aid in relapse prevention and promote abstinent behaviors (see next section). Holistic approaches: Some treatment facilities may offer alternative or complementary approaches to recovery, such as meditation, yoga, art and music therapy, and acupuncture. Aftercare planning: Treatment doesn’t end at the completion of your recovery program. An experienced treatment team will create an aftercare plan for you to attend ongoing recovery services to decrease the risk of relapse and to build upon skills you learned in rehab. Acamprosate:Acamprosate aids in long-term relapse prevention by reducing cravings. It restores chemical imbalances in the brain caused by alcohol abuse. Disulfiram: If an individual takes disulfiram then drinks, he or she will experience unpleasant effects, such as heart palpitations, nausea, and flushing of the face. It is most effective in patients who are highly motivated and will comply with the medication schedule. Naltrexone:Naltrexone blocks receptors in the brain that are associated with the reinforcing effects of alcohol, as well as cravings for the substance. Vivitrol: This medication is an extended-release version of naltrexone. It can be given once a month via an injection and can help to improve treatment compliance. Topiramate: Topiramate is not FDA-approved for the treatment of alcoholism. But it has been shown to improve problem drinking behaviors. Long-term, heavy drinking can cause stroke, heart problems, and cancer. Someone may be able to drink heavily and function – for a while. Eventually, however, prolonged and excessive drinking will catch up with them. Long-term abuse of alcohol leads to a number of harmful effects on the brain, body, and relationships. Getting treatment helps to reduce the risk of serious complications, some of which can be fatal. Cerebellar dysfunction (problems with motor skills and coordination). Legal problems (arrests for driving under the influence, loss of license, violence). Interpersonal or social consequences (divorce, estrangement, loss of friends, loss of custody of children). Occupational issues (job loss, extended unemployment, excessive absences). If you are concerned about a loved one’s drinking behaviors, help is available. Call us at 1-888-319-2606 Who Answers? to speak to a treatment support specialist about recovery options.
. Benton, S. A. (2009). Understanding the high-functioning alcoholic: Professional views and personal insights. Westport, Conn: Praeger.
. Nasqvi, N.H., Morgenstern J. (2015). Cognitive neuroscience approaches to understanding behavior change in alcohol use disorder treatments. Alcohol Research 37:29-38.
. National Institute on Alcohol Abuse and Alcoholism. (2015). Beyond Hangovers.
. Alcoholics Anonymous. (2016). Home page.
. Myrick, H., and Anton, R. F. (1998). Treatment of Alcohol Withdrawal. Alcohol, Health, and Research World 22(1), 38-43.
. National Council on Alcoholism and Drug Dependence. (2015). Intervention – Tips and Guidelines.